With the rising popularity of wood burning stoves, the heat is on for installers and sweeps to brush up on their training this summer, says HETAS. Mike Harvey, HETAS’ training and technical support manager says: “Whether you’re a gas installer, a plumbing and heating engineer or a maintenance technician, it is probable that you already understand the principles and processes of installations, along with an awareness of the corresponding regulations. Not all courses give direct access to HETAS Registration – but many industry professionals want to understand basic principles in their job roles. Mike says, “With no prior experience needed, the H001 foundation course is for anyone interested in a career working with solid fuel, wood and biomass technology. Demonstrations are provided on the basic operating principles of solid fuel appliances. 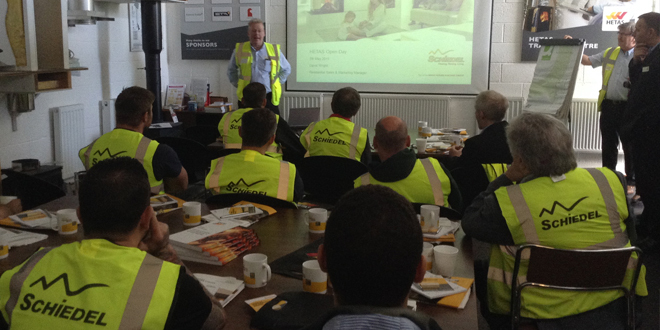 Although, it isn’t all about beginners, we also offer the H003 Dry Appliance Installer course which enables already experienced professionals to join the competent person registration scheme and become a HETAS Registered Installer.” says Mike. After delivering training and assessment services to the utilities industries for more than 20 years, at the beginning of 2018, Gastec Training & Assessment Centre in Milton Keynes added HETAS courses to its portfolio including the H001 and H003. The Approved Retailer course ensures that at least one HETAS trained member of staff is in the showroom at any given time. To maintain HETAS registration, installers are required to refresh their training every five years to ensure they are abreast of the latest regulations and practices so that they can maintain high standards of service for their customers. This is a mandatory requirement for all Competent Person Schemes in the combustion appliance sector. HETAS training courses are used as a pathway towards registration on the range of schemes available with HETAS.